Why is it important to detoxify your body? Living in a chemically-oriented society has made toxicity a much greater concern for the 21st Century. The Environmental Protection Agency reports that the average American consumes four pounds of pesticides each year and has residues from over 400 toxic substances in their body. More than 3,000 chemical additives are found in the foods we eat. The incidence of many toxic diseases has increased as well such as cancer and cardiovascular disease Arthritis, allergies, obesity, and many skin problems are other troubles that occur as a result of toxicity. In addition, a wide range of symptoms such as headaches, fatigue, pains, coughs, gastrointestinal problems, and problems from immune weakness can all be related to toxicity. The Standard Process 21 Day Purification Program will help alleviate these symptoms and more. Toxicity can occur on an internal and an external level. We are exposed to toxins daily and can acquire them from our environment by breathing, ingesting, or coming into physical contact with them. Also, most drugs, food additives, and allergens can create toxic elements in the body. If our body is working well, with good immune and eliminative functions, we can handle our basic everyday exposure to toxins. Through detoxification, we clear and filter toxins and wastes and allow our body to work on enhancing its basic functions. A good source of fiber from nutrient-rich whole foods, contains both soluble and insoluble fiber, supports healthy bowel function, promotes regular intestinal motility and elimination, supports healthy epithelial cells in the bowel, provides food for beneficial microorganisms in the lower gastrointestinal tract, contains nutrients which support the immune system. For more specific details on the cleanse process, click on the cleanse guide below. 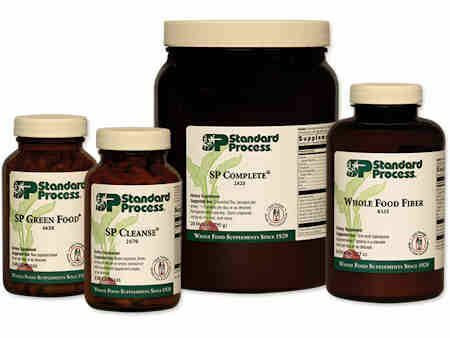 Whole Food Fiber is not referenced in the above Cleanse Guide 08, but it replaces the Gastro Fiber. The recommended dosage is 1 scoop in a shake per day. Purification Support Goes Mobile – Download the App Today! This program offers email support throughout the cleanse process. You will receive daily tips regarding shopping for the cleanse, recipes, exercise, and online question support. To inquire about this program support tool, please contact us.